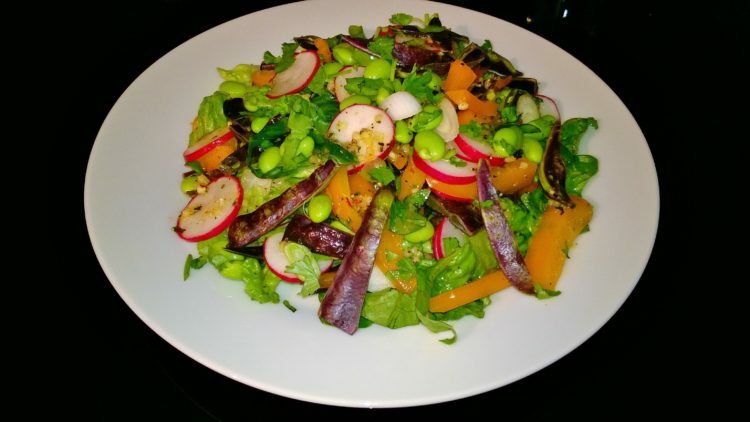 1 Place the lettuce, purple mangetout, radishes, spring onion, orange pepper, edamame beans and coriander in blow and toss. 2 Put all the dressing ingredients in a jar fasten the lid and shake or place in a small blow and mix well. 3 Pour the dressing into the bowl over the salad and toss. 4 Serve up and enjoy.